"The Prudential Insurance Company of America has been a cornerstone of Newark since 1875. In that time, Prudential's world famous logo has become emblematic of strength, stability, and sound financial thinking. The company's longevity and unwavering commitment to customers and community have earned it the simple, powerful nickname of The Rock." 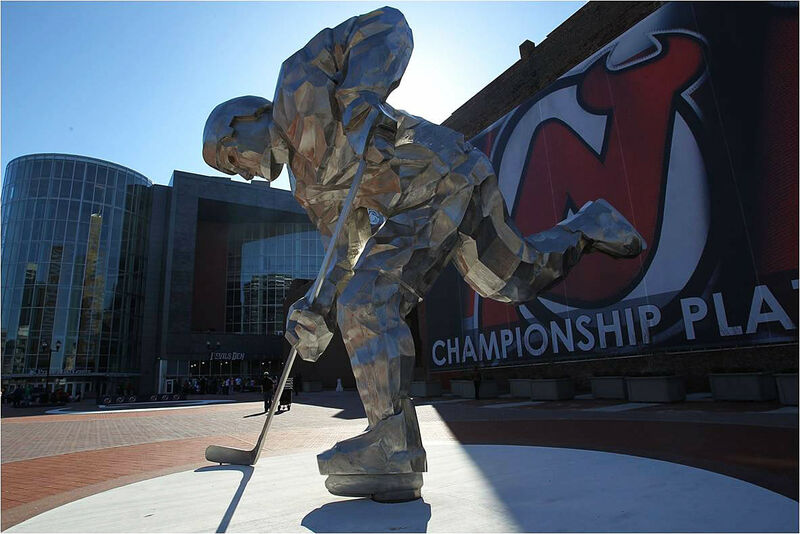 Surrounding the Rock statue on the ground are championship markers, basically stone tablets of each championship the Devils won.